The Associated Press has been ranking the best teams in college football since 1936. Over 82 years and 1,135 polls, a total of 166 schools have been ranked and 44 of them have been ranked No. 1 (Minnesota was the first). To determine the all-time Top 25, the AP formula counted poll appearances (one point) to mark consistency, No. 1 rankings (two points) to acknowledge elite programs and gave a bonus for AP championships (10 points). Michigan moved up one spot to No. 6, knocking Nebraska down to No. 7 after the Huskers failed to appear in a single poll. Washington jumped past Michigan State and Texas A&M to take the No. 18 spot after the Spartans struggled later in the year and the Aggies failed to appear in a single poll. Clemson’s two No. 1s and appearances in all polls helped the Tigers climb from No. 21 to a tie with Texas A&M for No. 19, also passing Michigan State. Wisconsin moved up to No. 23, knocking down Pittsburgh to No. 24. Virginia Tech moved up to tie Mississippi at No. 28. Stanford passed Pac-12 rival Arizona State to take the No. 30 spot. TCU jumped from No. 39 to No. 36, passing North Carolina, Purdue and Minnesota. Syracuse moved up to No. 40, dropping Maryland to No. 41. Washington State jumped from No. 61 to No. 57, passing Boston College, Texas Tech, Boise State and Louisville. Fresno State moved up one spot into a tie at No. 71 with Wyoming. USF jumped from No. 91 to No. 77 thanks to its program-record 15 poll appearances during the season. The Bulls leapfrogged Santa Clara, Tulsa, Colorado State, Wake Forest, Cincinnati, Miami (Ohio), Fordham, Iowa State, Holy Cross, Rutgers, Dartmouth, East Carolina, Vanderbilt, Yale, Princeton and Marshall. Iowa State moved up from No. 83 to a four-way tie at No. 78 with Santa Clara, Tulsa and Colorado State. UCF jumped into the Top 100 at No. 97, thanks to its 11 poll appearances, which in one season doubled the program’s all-time total. Best full decade: 1970s appeared in 92.57% of polls. Worst full decade: 1940s appeared in 55.68% of polls. Poll point: There have only been three seasons during the 80-year history of the AP poll in which the Buckeyes were not ranked at least once, the fewest poll-less seasons of any program. Best full decade: 1970s appeared in 91.22% of polls. Worst full decade: 1950s appeared in 18.97% of polls. Best full decade: 1950s appeared in 94.83% of polls. Worst full decade: 1960s appeared in 28.57% of polls. 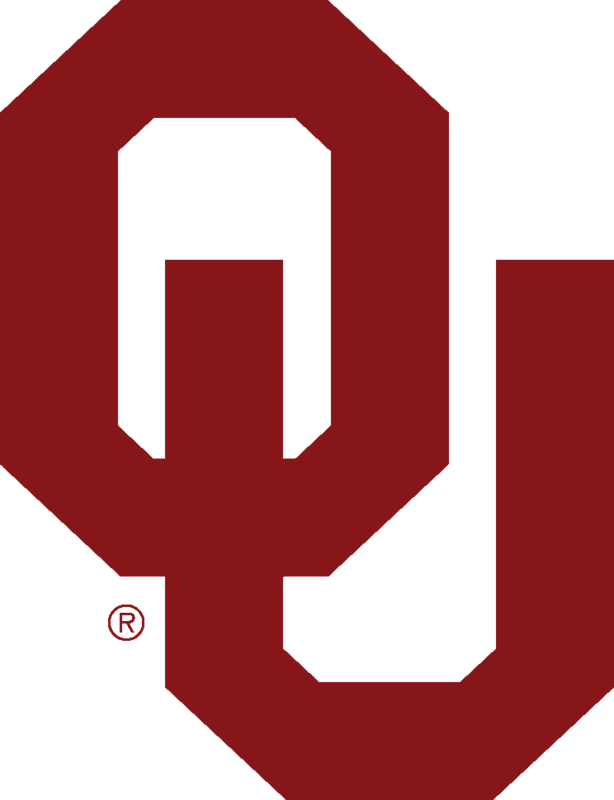 Poll point: Oklahoma has been top-five in percentage of poll appearances in five decades (1950s, '70s, '80s, 2000, '10), most of any program. Best full decade: 1940s appeared in 96.59% of polls. Worst full decade: 2000s appeared in 45.18% of polls. Poll point: Notre Dame was ranked at least once every season from the first poll in 1936 through 1961. Best full decade: 1970s appeared in 89.86% of polls. Worst full decade: 1940s appeared in 47.43% of polls. Poll point: The Trojans were top-ranked 42 times from Dec. 7, 2003-Sept. 21, 2008 under coach Pete Carroll. Best full decade: 1970s appeared in 100% of polls. Worst full decade: 1960s appeared in 26.98% of polls. Poll point: The Wolverines were first team to appear in every poll over the course of a full decade, when they did it in the 1970s under coach Bo Schembechler. Best full decade: 1990s appeared in 100% of polls. Worst full decade: 1950s appeared in 5.17% of polls. Poll point: Mostly under coach Tom Osborne, the Cornhuskers were unranked in only three polls combined during the 1970s, '80s and '90s _ appearing in 99.35 percent over three decades. They weren't ranked at all in 2017. Best full decade: 2000s appeared in 99.40% of polls. Worst full decade: 1990s appeared in 47.34% of polls. Poll point: The Longhorns have not had a Top-10 rankings since Sept. 19, 2010, the program's longest such streak since Nov. 26, 1984-Nov. 4, 1990. Worst full decade: 1950s no poll appearances. (Florida State started football program in 1947). Poll point: From Nov. 11, 1990-Sept. 9, 2001, the Seminoles were never ranked lower than 11th under coach Bobby Bowden. Best full decade: 1990s appeared in 98.82% of polls. Worst full decade: 1940s no poll appearances. Poll point: The Gators had no top-three appearances before Nov. 26, 1984 and then 95 top-three appearances after. Best full decade: 2000s appeared in 82.53% of polls. Worst full decade: 1950s appeared in 25.86% of polls. Poll point: After being unranked for most of the 1950s, the Tigers held the No. 1 ranking 14 times in 1958 and '59 _ then went 48 years before being ranked No. 1 again (2007). Best full decade: 1990s appeared in 95.27% of polls. Worst full decade: 1950s appeared in 20.69% of polls. Poll point: The Nittany Lions were not ranked at any point from 2011 to 2015. Since making their poll debut in 1940, Penn State had never gone more than three seasons without being ranked at least once. However, Penn State has clawed back, appearing in all 16 polls in 2017. Best full decade: 1990s appeared in 81.66% of polls. Poll point: The Hurricanes made 367 of their poll appearances (80.13 percent) between Sept. 29, 1980-Jan. 4, 2006. Best full decade: 1990s appeared in 93.49% of polls. Worst full decade: 1980s appeared in 29.19% of polls. Poll point: From 1936-59, no Southeastern Conference team had more poll appearances (134) than the Volunteers. Best full decade: 1980s appeared in 75.78% of polls. Worst full decade: 1940s appeared in 2.27% of polls. Poll point: For years, the Deep South’s oldest rivals, Auburn and Georgia, have either tied or have held the closest margin between each other among the highest ranked teams in the AP All-Time Top 100. It will be interesting to see if their positions change again after the 2018 season. Best full decade: 2000s appeared in 85.54% of polls. Worst full decade: 1950s appeared in 11.21% of polls. Poll point: Since 1975, the Bulldogs have had only two seasons (1990 and '96) during which they have not been ranked for at least one week. Best full decade: 1980s appeared in 72.67% of polls. Worst full decade: 1940s appeared in 29.55% of polls. Poll point: Highest ranked team to never win a championship. Best full decade: 1990s appeared in 75.74% of polls. Worst full decade: 1960s appeared in 16.67% of polls. Poll point: The Huskies haven’t missed a poll the past two seasons, but in the 11 of 12 seasons before that they were either not ranked or only appeared once during a season. Best full decade: 1980s appeared in 58.39% of polls. Worst full decade: 1960s appeared in 3.97% of polls. Poll point: before the Tigers' first national championship season in 1981, their best ranking was No.5 on Sept.21, 1959. Best full decade: 1990s appeared in 83.43% of polls. Worst full decade: 1960s appeared in 2.38% of polls. Poll point: The Aggies were last No. 1 in Nov. 11, 1957, and have not been No. 2 since Dec. 1, 1975. They weren’t ranked at all in 2017. Best full decade: 1960s appeared in 74.14% of polls. Worst full decade: 1980s appeared in 16.15% of polls. Poll point: Has the most No. 1 rankings for a program not ranked No. 1 since the 1960s. Best full decade: 1970s appeared in 66.22% of polls. Worst full decade: 1940s appeared in 7.95% of polls. Poll point: The Razorbacks have 30 top-three appearances, but only one (Nov. 20, 2011) since 1978. Worst full decade: 1980s appeared in 1.86% of polls. Poll point: During a 29-year span from 1964-92, the Badgers had just 10 poll appearances. Since '92, Wisconsin has made 246 poll appearances. Best full decade: 1980s appeared in 50.93% of polls. Worst full decade: 1940s appeared in 3.41% of polls. Poll point: The Panthers have not had a top-five appearance during the regular season since Dec. 6, 1982. Best full decade: 1980s appeared in 46.58% of polls. Worst full decade: 1970s no poll appearances. Poll point: The Hawkeyes worst decade ('70s) was followed by their best after Hayden Fry took over as coach in 1979.